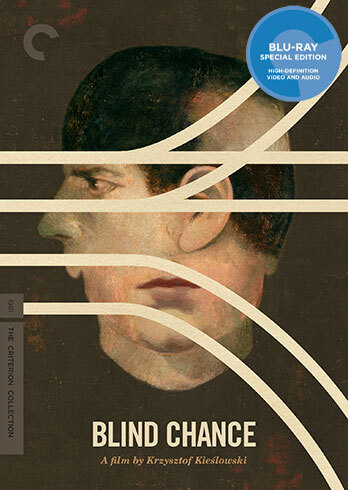 Posted on November 7, 2015, in Criterions, Film, Podcast. Bookmark the permalink. 20 Comments. Bring on Black Cat, White Cat, Time of the Gypsies, and When Father was Away on Business! Of those, I have only seen Underground and When Father Was Away on Business — both excellent. I would be thrilled to see more Kusturica in the collection. I’ve never actually seen Father, but Gypsies is good and Black Cat is LOTS of fun. Great idea on the Costco Box set :)! Another great episode. Looking forward to the next one before the #criterionblogathon ! Thanks again! We have an interesting episode that’ll go up *during* the blogathon. I cannot say anymore yet. Sounds great ! Will it be this coming weekend or during the week? It will be the weekend after next towards the end of the Blogathon. Next week is Code Unknown. Kusturica does have a phantom page so we’ll eventually see one of this films get released by Criterion. Wow! I didn’t know this! Any idea how long it has been there? Two or three years I believe. Hmm, maybe outdated or waiting for materials then. Underground would make the most sense. Noé s Love is being released on DVD/Blu-ray by Alchemy (the company formerly known as Millennium Entertainment)) on Jan. 5. Darn it! I wanted Criterion. Thanks for the update, Dan. Very impressed with this film…and the podcast. Initially the history was a lot to absorb especially when no one was wearing white or black hats. But, after viewing the supplements it helped tremendously and really made me appreciate the film that much more. Story-wise I was really blown away. Extremely thought provoking to consider how fate/chance/luck plays into our lives. Because the political agendas were not put to the forefront, it made each of the 3 stories very ambiguous as to which played out the best or worst for Witek. Politics were used more as contrast than good vs. bad. Very interesting. Personally, I would have loved to see this storyline with more universal themes and less politics of the day. Maybe Hollywood-it-up a little. However, I can’t fault Kieślowski for his vision. Surprisingly, I liked this much more than Double Life of Veronique (which I have seen on many top-lists). I can’t wait to watch the 3 Colors Trilogy soon. I enjoyed this episode, but I think this is one where your policy on no spoilers prevents you from fully exploring the film’s meaning and value as a work of cinema. I know you did spoilers on your Brood episode, and I think building in a section to each episode where you talk about the film as a whole (which people can skip) would be worthwhile. Without talking about the final moments of this film it’s impossible to discuss Kieslowski’s full intentions, and consequently I think you are hindered. Thanks for the comment. As it turns out, this episode launched a debate and we decided to scrap the spoiler policy for the main episodes. We’ll be delving deep once we get back into it. Ah, good to hear! And as I mentioned on twitter, I agreed with pretty much everything you said about this one. A very good movie that is made more important by what came after. Oh, one more thing, Run Lola Run did add something new to the concept by carrying over something Lola learned in one alternate history to another (removing the safety from her gun). So it did build on the concept and play with it a bit. Ahh, right. I forgot about that with Lola. You could argue that there are some temporal breaches in Blind Chance because characters coincidentally reappear, which would be statistically unlikely. But the characters unquestionably do not have awareness of the alternate timelines.